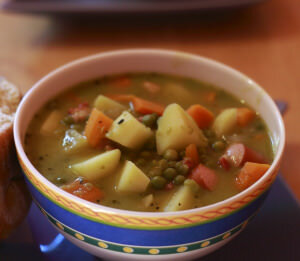 Making the best of cold weather means making great winter soups and stews to warm the coldest souls from the inside out! Whether you make it at home and carry them along in a thermos, reheat it at a yurt or cabin, or go the distance and prepare them in Dutch ovens over a glowing campfire, these recipes will warm you up, and fill up your hungry crew. Whether you have leftover baked potatoes from the night before or you make them specifically to include in this recipe, you can’t go wrong. 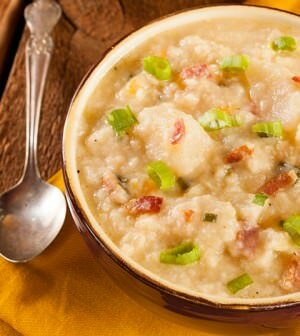 This is one of those winter soups that really brings out the delicious creaminess of the potatoes. 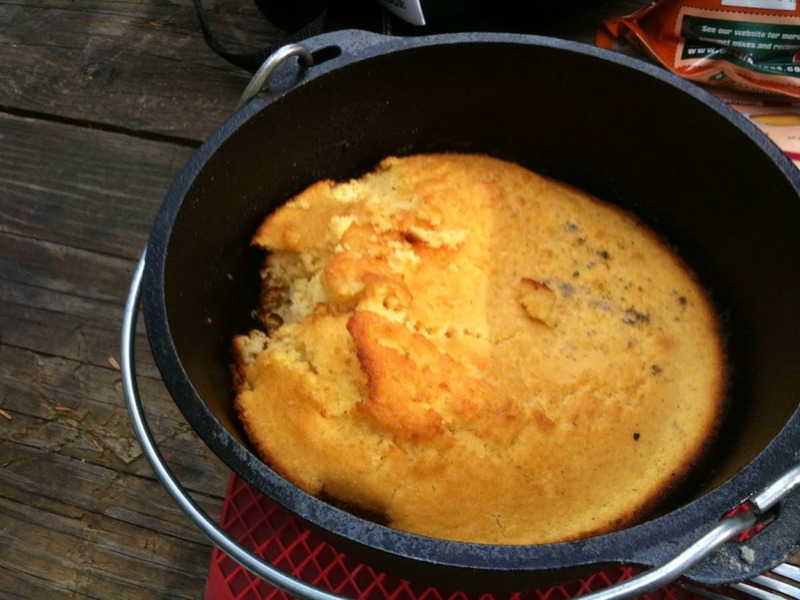 With any luck, you’ll be cooking it outdoors in a Dutch oven and flame-kissed meals are better than anything. Plain and simple. Whether you have leftover baked potatoes from the night before or you make them specifically to include in this recipe, you can’t go wrong. Cook bacon on your grill or over a campfire in a skillet. Cook over medium heat until browned. Then drain, chop into cubes, and set bacon aside for later. In a Dutch oven, melt the butter over medium heat. Mix in flour until smooth. Stir in milk, until thickened. Stir in potatoes and onions. Bring to a boil, stirring periodically. Let it simmer for 10 minutes. Mix in bacon, cheese, sour cream, salt, and pepper. Continue cooking, stirring frequently, until cheese is melted. This one you can make hot or hotter, but it’s always nice to have winter soups with a little kick to warm you up on chilly days. This Green Chile Stew is super easy to make in a Dutch oven or crockpot if you’re at home. It’s a delicious soup to enjoy after hours of being outdoors. Chop the celery, carrots, onion, and green pepper, and set aside. Use a 5-quart Dutch oven or cast iron pot and add your hamburger. Cook until done and drain. Add the rest of your ingredients and bring to a boil. Cover and let simmer for 30 minutes. Serve with shredded cheddar cheese and tortilla chips. Two of the most comforting things imaginable are winter soups and a campfire. Chicken soup is our favorite. 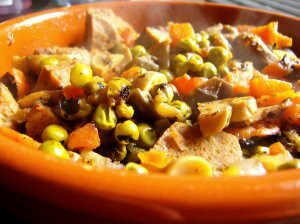 This recipe takes the best of both and adds the goodness of great vegetables. The whole family will love this one on your next hike or camping trip. Chop the onion, carrots, celery and mushrooms, and set aside. Use a 5-quart Dutch oven or cast iron pan and add the chopped chicken, cook until done and set aside. Add the 1 tablespoon of olive oil to the pot. Sauté the onion, carrots, and celery for about 10 minutes. Add the mushrooms and cook until softened. 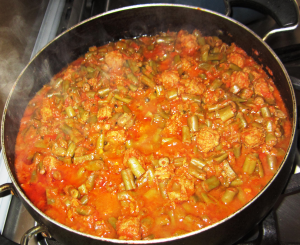 Add mixed veggies, tomato sauce, stewed tomatoes, and vegetable broth. Bring to a boil and let simmer 15 minutes. Add pasta shells and let simmer for 10 minutes or until pasta is al dente. Inspired by the makings of a great Thanksgiving dinner, this recipe will make for a hearty meal no matter what time of year it is. 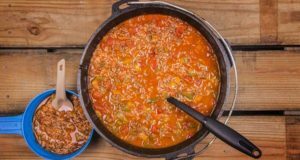 Use charcoal briquettes or the coals of a campfire surrounding your Dutch oven to cook this fantastic soup. Spread butter in the bottom and on sides of the Dutch oven. Mix cornbread stuffing according to package directions and pour over the other ingredients and press down to cover the layers in Dutch oven. Cut remaining butter into pats and place on top of the stuffing mix. Place in fire or over hot coals and shovel some coals on top of the Dutch oven lid. Cook for 20 - 30 minutes until hot and bubbly and the stuffing has browned on top. Beef Bourguignon is a well-known traditional French recipe. The recipe’s roots stem from the Burgundy region in France. 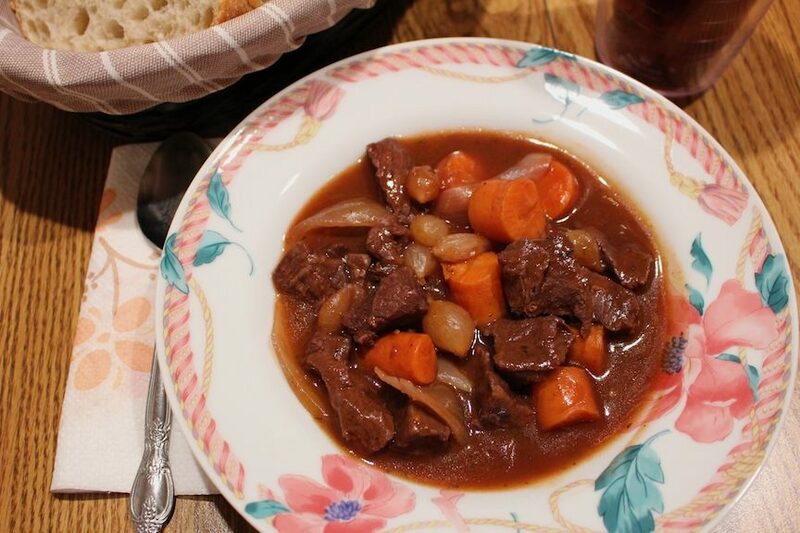 A delectable beef stew, this dish is typically prepared by braising the beef in a full-bodied, classic red Burgundy wine, and then stewed with a fantastic list of tasty ingredients. 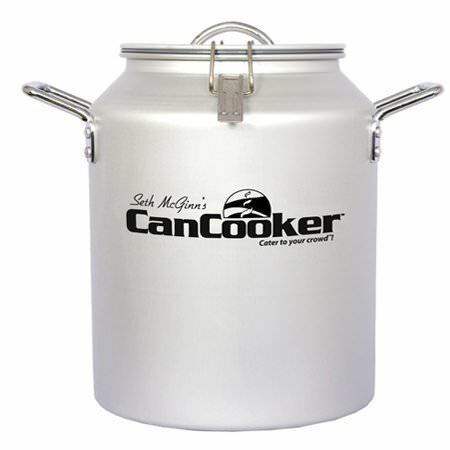 The CanCooker and CanCooker Jr. are quick and simple to use and any heat source available will work. Layer your favorite vegetables on the bottom and meats on top. Add 12 ounces of any liquid—water, soft drinks, beer, juice, or marinades—and your choice of seasonings before locking down the lid. 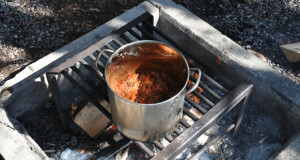 Then just place the CanCooker over any heat source that will boil water. Within 15 minutes, you’ll see steam, and about 45 minutes later, your complete mouth-watering meal for your entire group will be ready to serve. The perfect way to prepare your winter soups this year. Pour in all of the liquid ingredients and mix well. Add beef and balance of ingredients and mix in with the liquid. Close lid and latch. Put on a medium/low cooking surface and once it starts steaming cook for one hour. After the hour, with an oven mitt, remove the lid and set aside. With a long handled spoon, stir in a mix of water and cornstarch (2 tablespoons of cornstarch with 2 tablespoons of water) to thicken the stew. Let it come back to a boil for 1 minute, remove from heat, and set aside. It is now ready to be put into soup bowls and enjoyed. This is one of those winter soups just like grandma used to make, throwing in ingredients she had on hand to make a delicious, rich soup to warm the kiddies up after hours of playing in the snow. 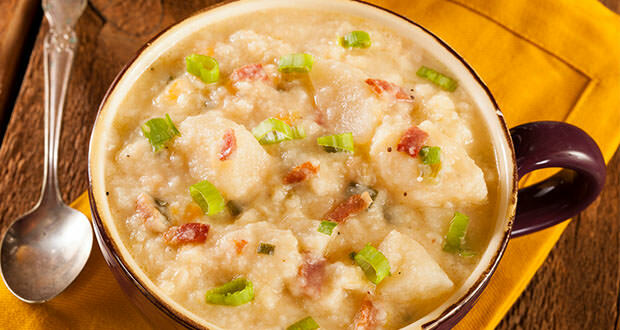 With only nine ingredients, this potato soup can be thrown together quickly. Chop the sausage, potatoes, onion, and green pepper. Use a 5-quart Dutch oven or cast iron pot and combine all of your ingredients. Bring to a boil and then let simmer for 45 minutes or until potatoes are soft.